This side chair updates traditional style with a relaxed and charming design. 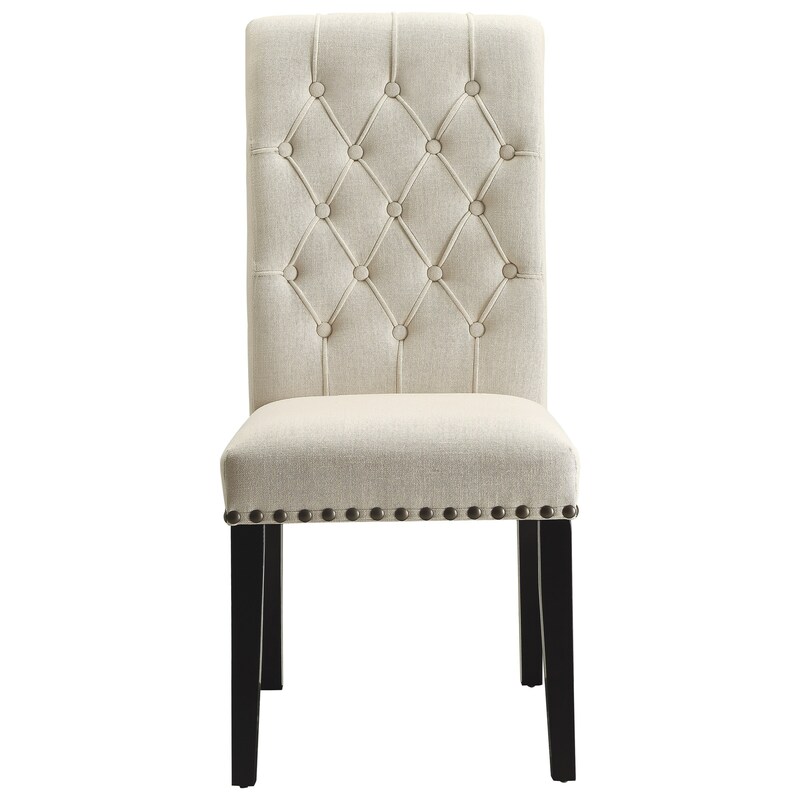 The seat and back of the chair are upholstered with cream fabric and accented with diamond button tufting and nailhead trim. The back of the seat is slightly rolled, complementing the curved back legs. Pair with the matching arm chair and dining table for an elegant dining set. The Parkins Upholstered Dining Side Chair with Button Tufting by Coaster at Miskelly Furniture in the Jackson, Pearl, Madison, Ridgeland, Flowood Mississippi area. Product availability may vary. Contact us for the most current availability on this product.